سواءً كنت مسافراً بغرض السياحة أو العمل, Country Gate Cottage & Studio- Springbank هو خيار عظيم للإقامة خلال زيارتك ديلسفورد وماكيدون رينجز. يمكن من هنا للضيوف الاستمتاع بسهولة الوصول إلى كل ما تقدمه هذه المدينة النابضة بالحياة. بالنسبة لمن يريد الخروج، هذه بعض المعالم السياحية المتوفرة للزوار مزرعة رياح هيبورن. إن الخدمات الممتازة وحسن الضيافة العالي في Country Gate Cottage & Studio- Springbank تجعل إقامتك تجربة لا تنسى. هذه بعض الخدمات الموجودة في هذا الفندق: تخزين الأمتعة, خدمة الغرف, غرفة عائلية, مرافق للشواء, بار. تنعكس أجواء Country Gate Cottage & Studio- Springbank في غرف الضيوف.تلفزيون بشاشة مسطحة, مكيف هواء, تدفئة, مكتب, شرفة/ تراس هي بعض الميزات الموجود في العديد من الغرف. صممت خدمات الاستجمام في الفندق والتي تتضمن حديقة لمساعدتك على الاسترخاء والراحة. يحظى فندق Country Gate Cottage & Studio- Springbank بموقع ممتاز وخدمات يصعب منافستها. We were fortunate enough to have no neighbours staying at the other accommodation at the same time. Very clean and comfortably warm room on arrival. Very thoughtful and considerate to have a selection of books to read, board games to play and dvds to watch. Outside in the evening looking up at the clear sparkling night sky followed by a beautiful sunrise in the morning. Even after only one night, we felt energised and rejuvenated. Thank you so much. We had a lovely stay and the owner is very friendly and accommodating. Good clean no nonsense accommodation in a quiet location with good woodland walks on the doorstep (literally). 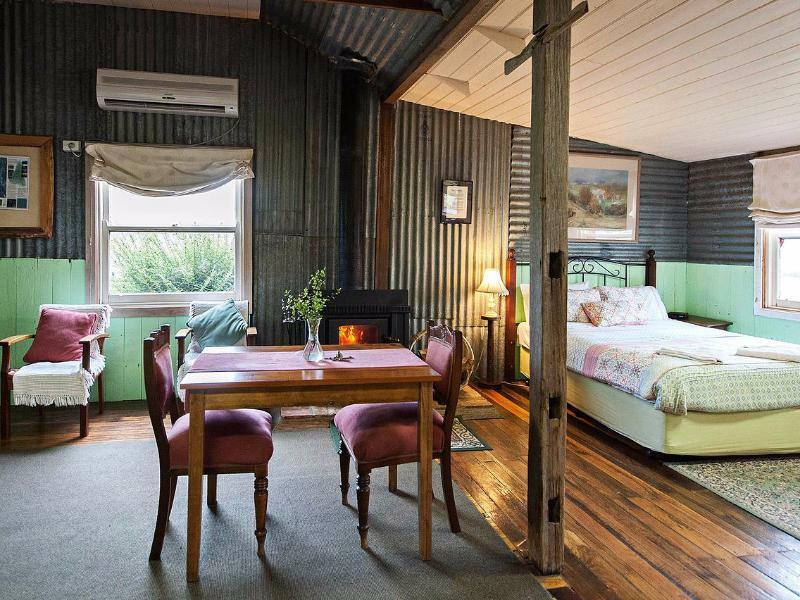 Located about 30 minutes drive from Daylesford (the big smoke).............if your after peace and quiet this is the place to go. I stay here as I was on a business trip and needed to be central to Ballarat and surrounding areas ,it will now be my home office when travelling.The host Molly welcoming and very helpful,the accommodation excellent ,above average. Absolutely wonderful from the minute we arrived up until the moment we left. Log fire was on,electric blanket was on and nice tea and coffee. Molly was lovely and it was really cute staying in the spud shed, original. Wonderful host and very comfortable cottage! Perfect for a weekend getaway! We got the fire going which kept the cottage very warm! Will be coming back to stay at the studio cottage! Nice farm cottage type accommodation. Close to Wombat state forest. Good for country walks. A bit remote but there is a good pub / bistro nearby. Not easy to find so call for directions. Country gate cottage and studio was a beautiful set of farm buildings which have been lovingly renovated into accommodation. Each building acommodates different numbers of guests and each also has a story behind it. Contry gate is a quiet location on farm and bushland in Springbank near Ballarat. Difficult to find without a GPS or directions but your hosts are very happy to provide directions if required. Molly will be there to greet you when you arrive and an information folder gives suggestions for local places to eat and attractions nearby. The Forge where we stayed is small but well appointed, ideal for a romantic getaway or honeymoon. Molly has even been known to bake cakes for Couples on Honeymoons and Anniversary trips. 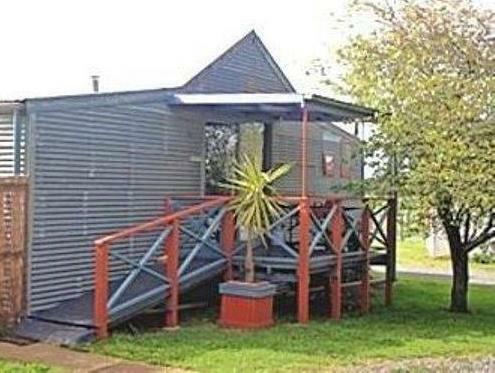 great cottage in a peaceful location, very welcoming, and has everything you need for a peaceful getaway. L'adresse n'est pas facile à trouver, nous nous sommes perdus et sommes arrivés tard à destination. Il n'y avait personne pour nous accueillir et nous avons attendu un bon moment dans la voiture espérant voir quelqu'un arriver. Au bout d'un moment, nous avons compris que la maison était ouverte et nous était destinée pour la nuit. Nous avons donc perdu beaucoup de temps précieux que nous aurions préféré utiliser pour une promenade en forêt par exemple. Sinon, la maison est grande pour 2 personnes et confortable. La tv ne marchait pas bien et le programme était continuellement interrompu. Le matelas du lit était trop mou à mon goût, je n'ai donc pas bien dormi. Je pense que nous aurions davantage apprécié le lieu si nous avions pu en profiter davantage. Nel mezzo del nulla, una tappa fantastica, consiglio di rimanere 3 o 4 notti. E' meraviglioso godersi il cottage senza neanche usare la macchina per spostarsi. Oppure visitare le tante attrazioni interessanti da vivere nei dintorni.